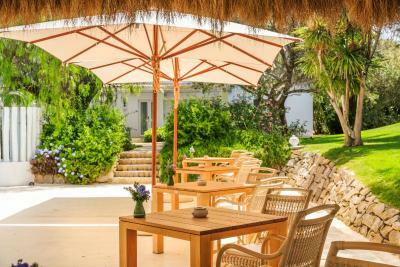 Lock in a great price for Vila Monte Farm House – rated 9.2 by recent guests! Beautiful place, super clean and the staff were lovely! Beautiful property - spacious, well maintained, well landscaped. Fantastically accommodating and friendly staff, great restaurant with wide selection of excellent food and wine. 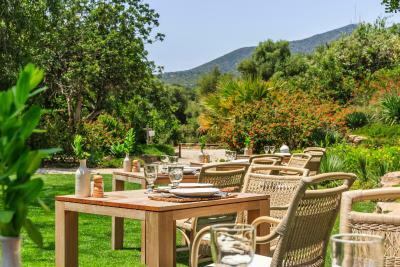 The staff was amazing, the food was great - both the restaurant and the breakfast buffet - and the grounds were lovely. The rooms were very comfortable - I loved the cozy warm Manteca. We also enjoyed a tour of the olive farm. 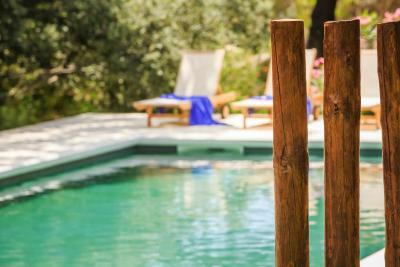 We came during the off season and found vila Monte to be an incredible value and very peaceful. Everything! This place was amazing! Everything was awesome! The restaurant was fabulous. 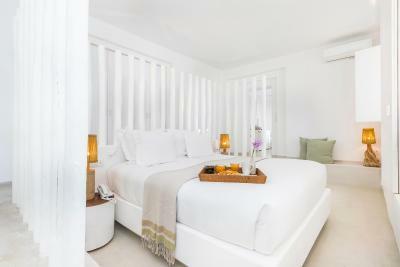 The rooms were clean and beautiful the staff took great care in making sure your stay was 100% perfection! The cute little town was a treasure and fun to explore! I'd come back in a heartbeat! This is the most amazing hotel I’ve ever stayed in, hands-down. 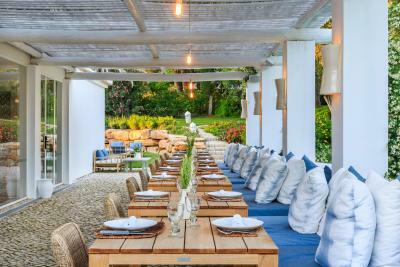 The grounds were absolutely gorgeous, the room was stylish and comfortable, and the food was excellent. The staff was the most amazing and friendly staff I’ve ever encountered. They took the time to know my name and say hi! The activities were also great - the beach, the market trip with the chef, the cocktails, and I had a wonderful massage. I can’t wait to come back one day. The service was outstanding. Every single member of staff. Everything felt so personal. the younger staff were outstanding, especially Rachael, pity she wasnt in a managerial role. Superb breakfast. Great attention from all hotel staff members. The grounds and gardens are great for young children to run freely. Facilities and food good. Look out for the Shepard and his flock - amazing sight. 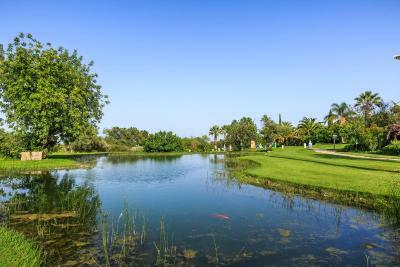 Vila Monte Farm House This rating is a reflection of how the property compares to the industry standard when it comes to price, facilities and services available. It's based on a self-evaluation by the property. Use this rating to help choose your stay! 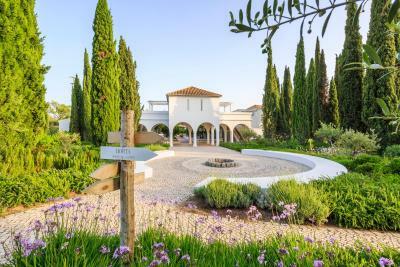 The newly-renovated Vila Monte Farm House, a member of the Design Hotels group, offers a tranquil retreat with a garden and 2 heated outdoor swimming pools in Moncarapacho, 6.2 mi from Olhão. 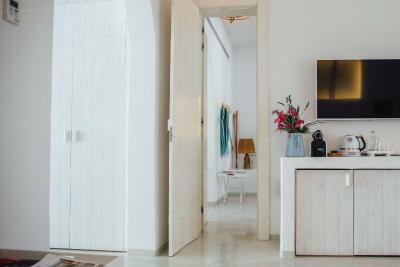 Featuring characteristic Algarve architecture, the unit is divided in 4 buildings, a 10-minute drive away from the Fuseta beach. 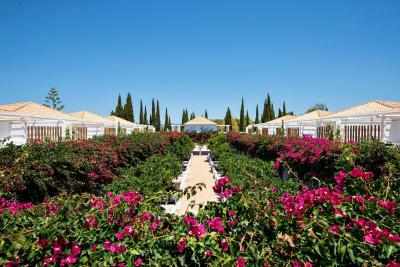 Set among an orange grove, the air-conditioned rooms boast rich fabrics and a colorful décor. 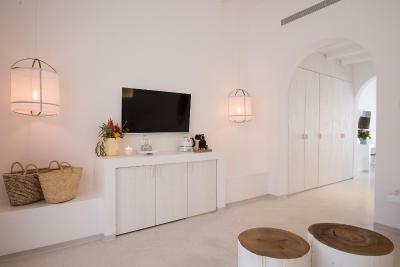 Each room has a flat-screen cable TV, free WiFi, digital safety deposit box, mini-bar, coffee machine and bathroom amenities in the private bathroom, along with a hairdryer. 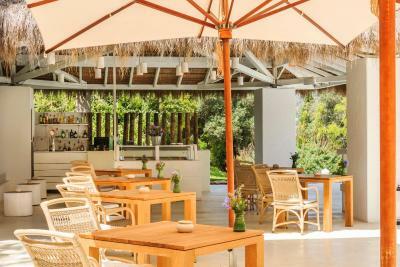 Farm House’s restaurant serves Algarvian delicacies, all made from fresh ingredients including fish from the local markets and the resort’s own fruits and herbs. 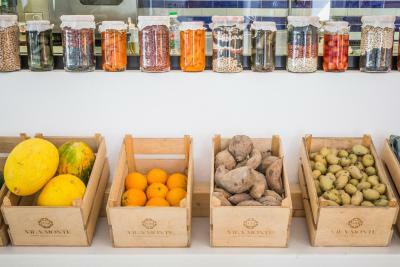 The restaurant is based on the concept of sharing and includes a continuous all-day service where the wood oven and the Josper grill are the main players in the actual cooking of fresh local ingredients. 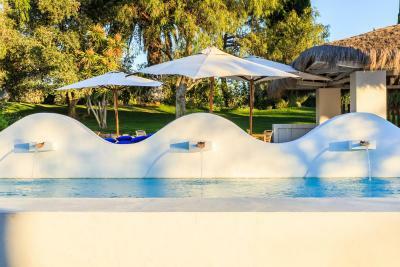 Several activities can be organized with the front desk and guest relations, such as Hydro Fitness classes, horse riding, visits to the local market on Saturdays with the Chef, fishing in Ria Formosa , boat trips, trekking, among others. During the Summer months there are open air movie sessions and boat rides to the beach on Fuseta island. 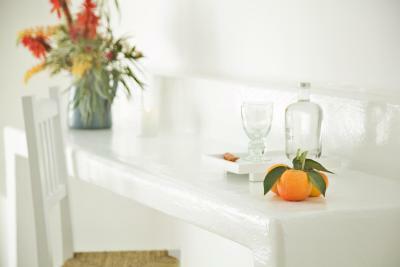 When would you like to stay at Vila Monte Farm House? 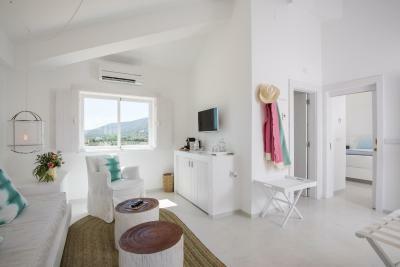 Located on the Pátio building or the Upper House, this air-conditioned double or twin room features a terrace and a leisure area (with exception for the unit on the 1st floor). 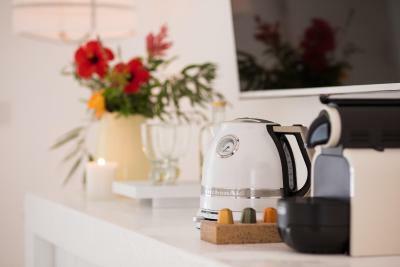 It is equipped with a cable TV, a coffee machine, an electric kettle and a mini-bar. The elegant private bathroom comes with free toiletries and a hairdryer. Located in the Pátio Building/ Upper house. 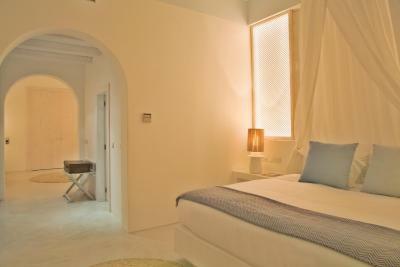 Offers a bedroom and a terrace with a leisure area at the entrance (with exception for the unit on the 1st floor). Located in the Laranjal, Pátio and Upper house buildings. Consisted of by a living room and a bedroom. It features a terrace with a leisure area at the entrance. The living room includes a sofa bed that can accommodate a child or an adult. The suite can include 2 extra beds. 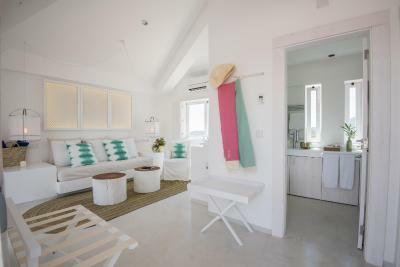 Superior suite located in the Laranjal Building. Consisted of by a living room and a bedroom. It features a terrace at the entrance and a leisure area in the backyard. The living room includes a sofa bed that can accommodate a child or an adult. 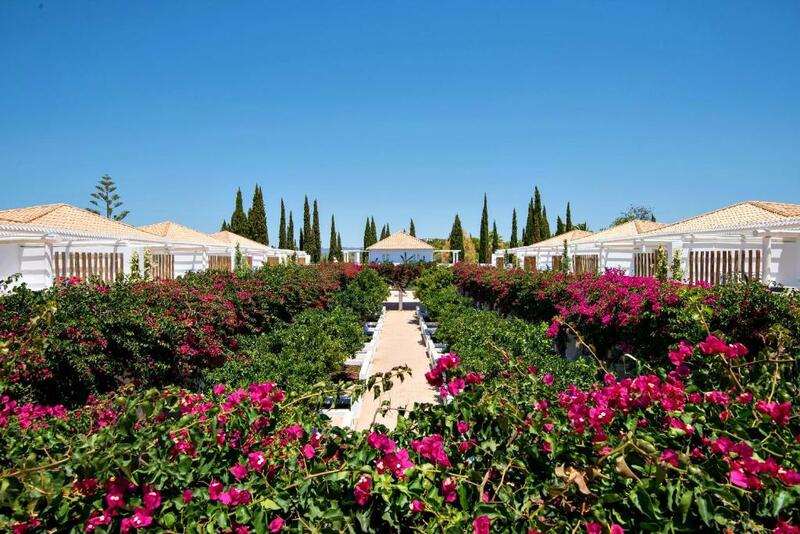 Located in Moncarapacho (Olhão), Vila Monte Farm House conveys tranquillity and the comfort of a unique hotel. 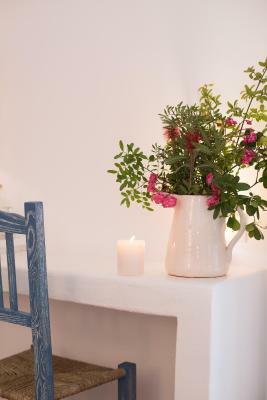 Buildings are based on the typical architecture from the Algarve with its chimneys, terraces and white-washed stairways. 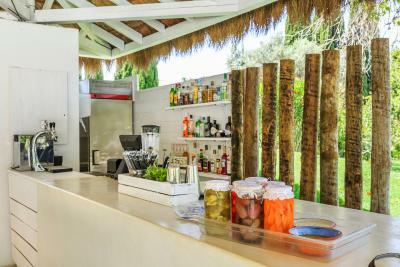 House Rules Vila Monte Farm House takes special requests – add in the next step! 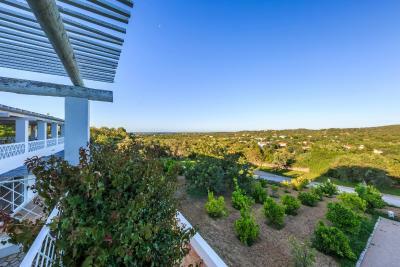 Vila Monte Farm House accepts these cards and reserves the right to temporarily hold an amount prior to arrival. Please note that check-in and key collection take place at: Sitio dos Caliços, Moncarapacho 87700-069. 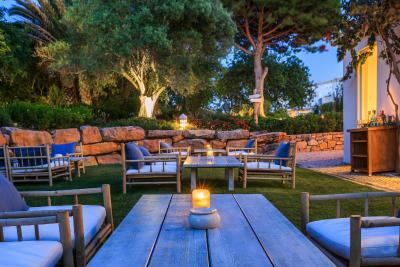 We always book for dinner in advance, we changed our suite in advance at their suggestion.on arrival we were waiting a good while to be shown to our room, we were taken there , wrong room. neither had been noted on their booking system. after a further wait we were given our correct suite.the young staff were so full of apologies we said no more We went into dinner that night, and noted that our table had not been reserved, we booked for the following night at reception,What a disaster,they do Not reserve tables at all,the hall lobby became a throng of angry people who had prior reservations, and at 7.30 on a sunday night in an isolated area you dont want to try to find an alternative, we eventually sat down at 9.30, with the lobby still half full of angry dinners, again the young staff were so apologetic,but it was like a rugby scrum.basically their reasons for not reserving tables are that diners dont keep to the times, so they dont reserve the tables. We found the restaurant menu disappointing. We had been hoping for lovely fresh salads and healthy options but sadly the menu was expensive and limited, too many pizza options! Get in of bathtub/shower was a little slippery - needed caution - even though they had nonslip strips on the bath tub. 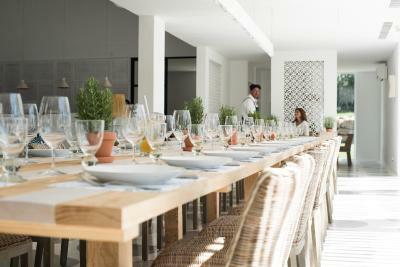 Perhaps more local/regional dishes at the restaurant onsite would be a nice touch. Only two aspects could be improved. The main one: the towels aren’t at all in a good condition. 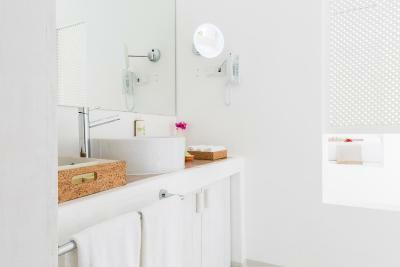 In a location like this, which position itself as luxurious, the towels should feel new and in a great condition. One small detail, but important. Second quality/price for the restaurant is not quite right. It is very expensive, but the food is only ok. Such an amazing place. In one word serenity. The breakfast is also really nice. Bar service a bit slow but bonus is comfortable seating around open log fire made the wait bearable. Great room with lovely terrace/view over beautiful gardens/pond. Fab restaurant - we ate there for the 3 nights we stayed. This has the absolute WoW factor! Loves the room, the way iT is decorated, the fire place, breakfast, Everything!